Surprise your loved ones with this lovely vector art card design. 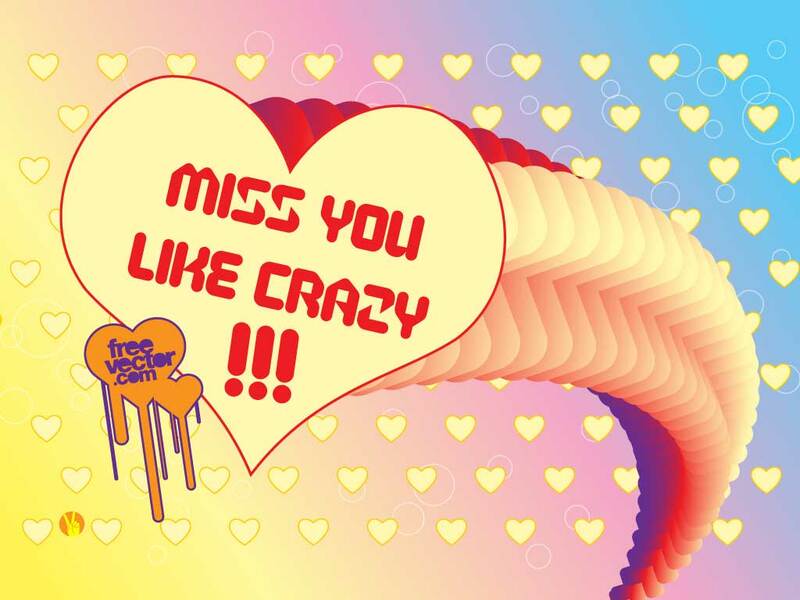 This abstract design combines heart, bubbles, and nice color work with a focal message of "Miss you like crazy!!!". A cool Valentine design to use for a greeting card, invitation or just a sentimental message. Great footage to let your loved ones know that you miss them and care for them. Tags: Couples, Cupid, Heart, Love, Miss You, Romance, Sentimental, Sweet, Valentine.